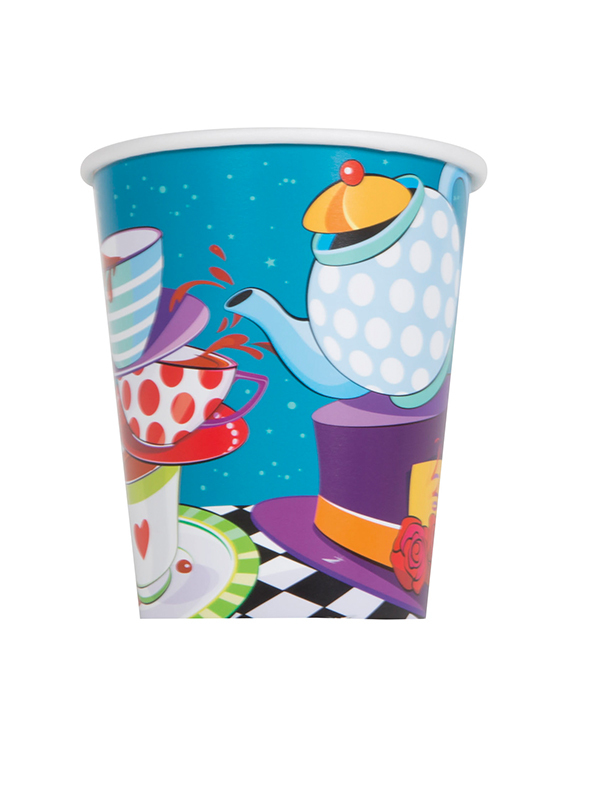 Mad Hatter Tea Party Cup holds approximately 9fl oz (266ml). Disposable Cups make your after-party clean-up really quick and convenient. The design has the Mad Hatter Tea Party theme Print.